Regular golfers live five years longer than non-golfers, and playing golf helps prevent 40 major chronic diseases such as diabetes, breast and colon cancer. That’s the conclusion of a new paper on the health benefits of golf that reviewed some 5,000 studies. The best available evidence suggests that playing golf may contribute to reduced mortality and increased life expectancy. When a Swedish study compared 300 golfers to non-golfers, they found a 40% lower mortality rate, although the study design and limitations meant that this could not be directly attributed to golf-related physical activity. The authors of that study speculate that this corresponds to a 5-year increase in life expectancy regardless of gender, age or socioeconomic status. This increase will also have further contributing factors, including other lifestyle factors. Playing sport several times per week is likely to benefit health more than playing one to two times per week. An association, but not causal relationship, is demonstrated between golf and life expectancy in Swedish and US studies. Studies assessing calorie expenditure during golf typically classify golf as a moderate intensity physical activity with energy expenditure of 3.3–8.15 kcal/min, 264–450 kcal/hour and a total energy expenditure of 531–2467 kcal/18 holes. 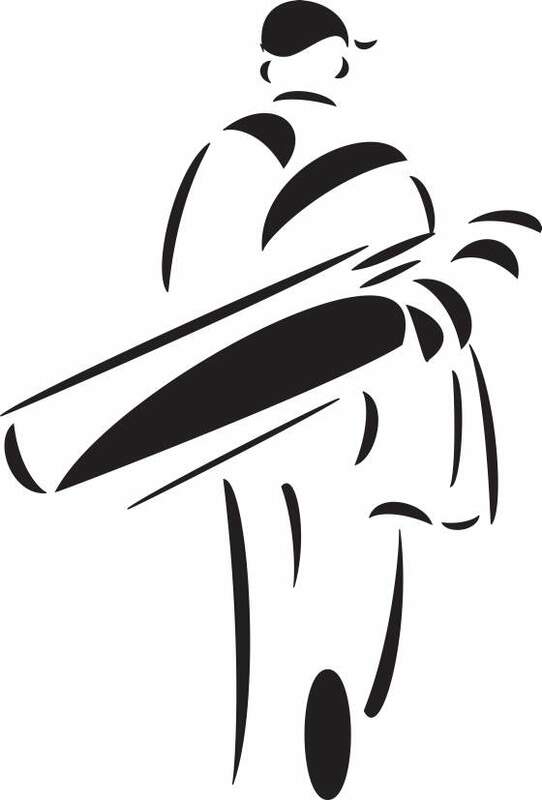 Golfers walking 18 holes take between 11,245 and 16, 66736 steps, walking 4–8 miles, while those playing and riding a golf cart accrue 6280 stepsor just under 4 miles.There is poor agreement in the literature assessing intensity of golf by heart rate, with a majority classifying golf as low intensity, but others quantifying it as moderate to high intensity. 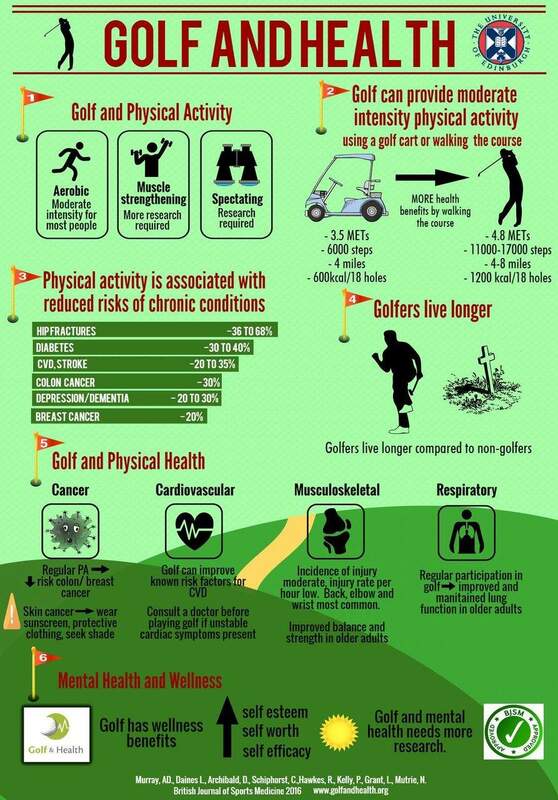 Golf can be good for your health and your heart. Walking an average course for a round of golf can be between five to seven kilometres. If you walk 18 holes three to five times a week, you’ll get an optimal amount of endurance exercise for your heart. If you pull your clubs or carry them, you’ll burn even more calories each round and benefit even more. lose weight and body fat.